The gel formulation is extremely light and never gives a heavy feeling. Hence, you will never feel like you have used any sort of acne treatment on your face. It is easily spreadable and glides over the skin like breeze. Hence, you will never find the application difficult. It gets absorbed into the skin almost immediately and you don’t need to massage for a long time. It is very gentle on the skin, which makes the application worry-free. According to the World Health Organization (WHO), benzoyl peroxide is one of the best medicines for acne. It has natural antibacterial properties, which destroys acne-causing bacteria and reduce the inflammation of pores. It also prevents further clogging of pores by injecting air into them. These help in averting the development of new acne while minimizing the appearance of existing acne to a great extent. Benzoyl peroxide acne gel is available in three variants (2.5% solution, 5% solution, and 10% solution), and they are known to be the most commonly recommended gel treatments for acne based on the severity of breakouts. Even though the efficacy of benzoyl peroxide acne gel is backed with strong research evidence, it still comes with its own set of issues. Being loaded with harsh chemicals, it can take a toll on sensitive skin and give others a lot of complications including irritation, burning / stinging sensation, allergic reactions (rash, swelling, itching, redness, peeling / scaling, etc. ), and even skin cancer in the case of long-term use. Be it derived from the bark of white willow tree or produced in the laboratory, salicylic acid is highly effective in combating acne and breakouts. It is completely different from benzoyl peroxide but offers the same benefits of unclogging pores on the skin by killing acne-causing bacteria. It can also speed up the process of shedding the upper layer of the skin, which improves the healing time and reduces the scarring eventually. However, different side effects of using salicylic acid acne gel are redness, scaling, stinging sensation, nausea, vomiting, etc. Those who want a natural yet equally powerful alternative to benzoyl peroxide can go for tea tree oil acne gel. It works on the acne-causing bacteria to destroy them completely and also prevents further breakouts. The only drawback is that it works slowly than its all other chemical counterparts. Tea tree oil acne gel also has certain adverse reactions on the skin such as redness, irritation, allergic reactions, etc. However, being a natural remedy, the effects are much milder than the benzoyl peroxide one. Retinol gel contains vitamin A, the lack of which has been found to be closely linked to the development of severe acne. Once absorbed into the skin, it flows through the blood stream and reduces inflammation significantly. 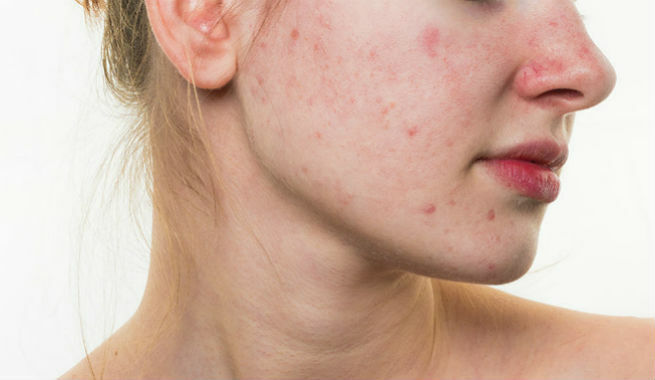 As a result, the appearance of acne improves a lot. However, like all other acne gel treatments, retinol acne gel can also cause a few side effects like photosensitivity, redness, irritation, peeling, and so on. As the name says, these are antibiotics available in the form of gels for using as a topical treatment for acne. Usually, antibiotics like Clindamycin, Erythromycin, Tetracycline, etc, are used for this purpose. The mechanism of work of antibiotic acne gels differs from that of oral antibiotics to some extent. While some decrease the number of acne-causing bacteria on the skin, others focus on reducing inflammation. Nevertheless, it comes with side effects like irritation, rash, peeling, etc. It is always recommended that you follow the advice of a dermatologist regarding the choice of acne gel. Also, make sure that you continue a treatment at least for 3 consecutive months before coming to a conclusion. It will help you take the right decision and heal your acne efficiently.